I’m often asked for advice on beauty products and since I’ve been lucky enough to receive lots of lovely samples over the past couple of years I’ve wanted to start a new series of beauty posts to share my favourites. Think of it like this: you know those products that you really want to try but aren’t sure if to believe the hype… I’ll try them and give you the honest truth on what’s really worth it. I’ll aim to include something for every budget and sometimes even a bonus product. I’m starting the series with 3 of the best hair masks. As a child I always had thick, shiny hair but over the years I really noticed it starting to thin out. Although I never colour my hair, it definitely gets its fair share of sun and sea salt. Looking back a couple of years ago, I realise that I was also in a pretty unhappy place – I was having a horrible time at work, I’d found myself in some pretty destructive friendships, and I was burning the candle at both ends, and it really showed in my dry, brittle hair. A very kind friend of mine, with the swishiest hair, told me that she relied on hair masks, and at least one evening off a week for a proper home pampering session. I took her advice and I’ve never looked back. Now I treat my hair to at least one mask a week and these are the 3 that I think are fantastic. This mask is the absolute ultimate for me. It’s an intensive mineral-rich treatment that deeply conditions to leave hair soft and the scalp nourished. Vitamin C-rich watercress and red clay soothe the scalp, whilst apricot kernel oil conditions to help promote stronger, healthy looking, manageable hair. 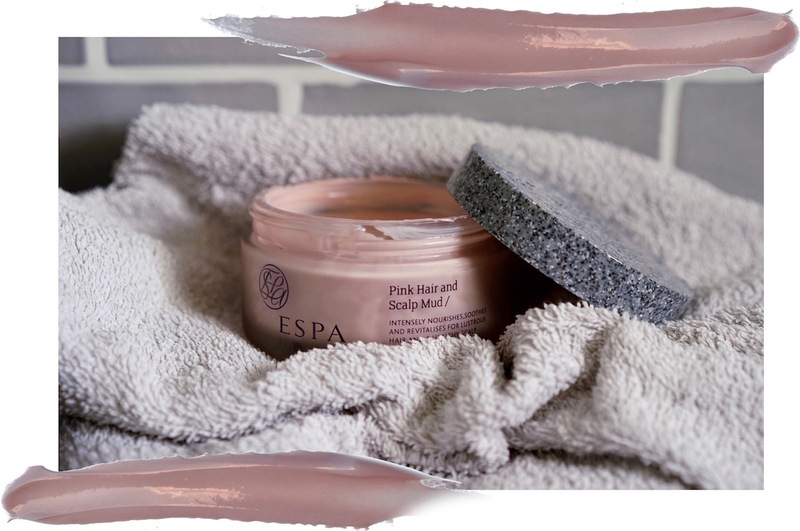 The soft scent takes me back to the most amazing massage I had at the Bulgari Spa in London, where this mask was slowly massaged into my scalp, and I’ve been addicted to it ever since. I leave it on as long as possible, preferably overnight, and my hair feels strong without that slippery coating feel of other masks. Apparently it’s such a wonder product that it can also be used to moisturise dry elbows or to prevent stretch marks on baby bumps! I love the tub packaging but the tube would be perfect for travelling. 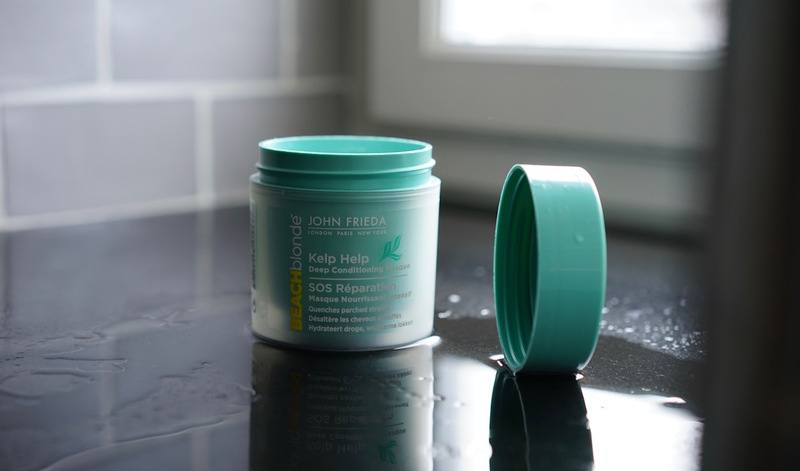 John Frieda’s Kelp Help Deep Conditioning Masque is a high-potency, targeted repair blend with sea kelp and monoi oil. 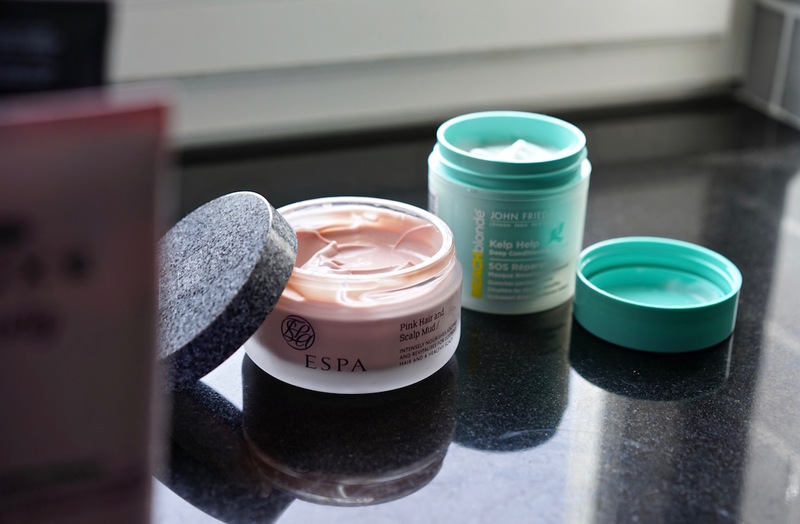 Although it doesn’t feel quite as rich and nourishing as some other masks, it gently cleanses thirsty, heat-damaged hair and it’s infused with mint for an energising hit in the morning. For a double whammy, I use an overnight mask, wash my hair with shampoo, and then apply this for a couple of minutes in the shower to seal the hair cuticle before rinsing with cool water. 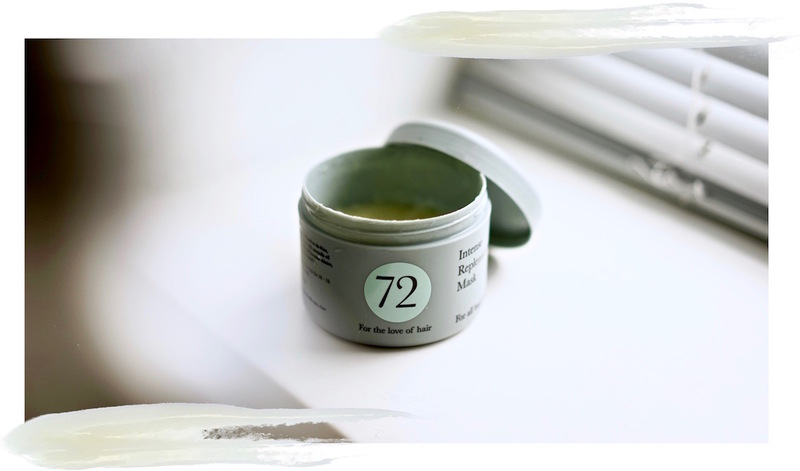 72 is a new range of products created by hairdressers and this mask is a real silky smooth conditioner with the most delicious, refreshing pineapple scent. It contains avocado oil, collagen and hydrolysed silk to repair the hair cuticle, and it promises to eliminate frizz and replenish lost moisture whilst strengthening the hair. I leave this one on for as long as possible, preferably overnight, and my hair feels slippery smooth when I wash it out, with that gorgeous scent lasting all day long. For a hair overhaul, why not try the moisturising bundle with the 72 Moisturising Shampoo, Mask and Blow Dry Cream. I really hope you like the new beauty series! Let me know what you think in the comments below. Are there any hair masks that I just have to try? Or do you have any beauty categories you’d like me to feature?